XHnotion pneumatic provide 3mm, 4mm, 5mm, 6mm, 7mm, 8mm, 9mm, 10mm, 11mm, 12mm, 13mm, 14mm, 15mm, 16mm air hose and push in fittings. Please kindly be noted that above sizes are hose outer diameter. So it is necessary to check below factors. 2) Tube material – PU tubing, PE tubing, or nylon tubing are all good. Please learn about XHnotion tubes. 3) Pressure in the system. Working pressure less than 10 bar. Burst pressure 25 bar. For bigger pressure, please consider brass push in fittings. For harsh environment, please consider stainless steel push in fitting. 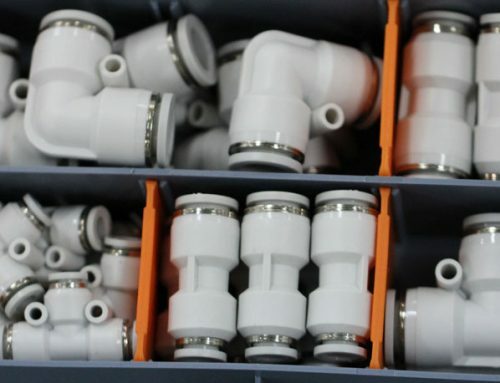 Why plastic push in fittings popular in the world? 2) all kinds of sizes and shapes. 3) easy to operate without tool. yes, we have. please send inquiry to [email protected] directly, we will reply you as you request.